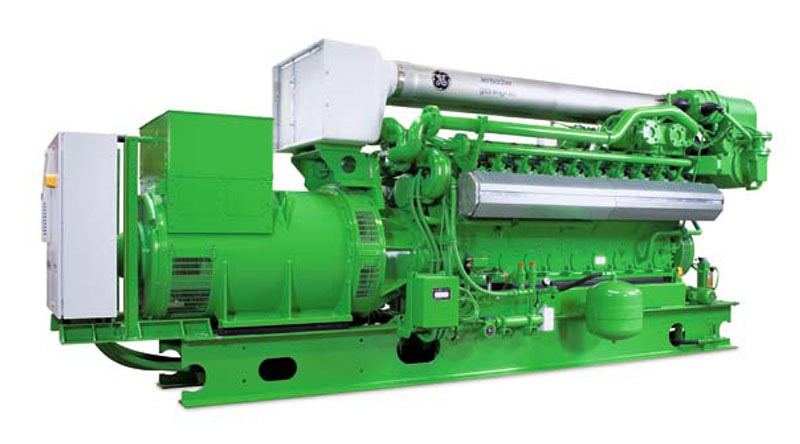 For power generation in the 600 to 1100 kW range, a GE Jenbacher Type 3 system will allow your facility to produce energy efficiently, reliably, cost effectively, and with an elevated level of environmental awareness. As the single point of contact, we manage our supply from engineering and configuration through installation, commissioning, and long-term maintenance. 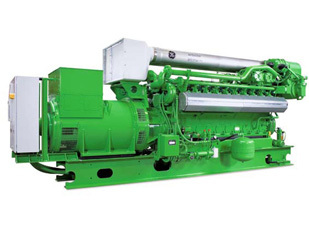 A leader in its class for controls, durability and efficiency, we supply the Jenbacher Type 3 as a generator set, cogeneration system, or a containerized generator set/cogeneration unit. Fueled by a range of gasses, from natural and biogases to difficult waste and flare gasses found in the chemical and mining industries, we offer it in 12, 16, and 20 cylinder variants depending on capacity requirements. Engineered to maximize efficiency, it is characterized by its long service intervals, maintenance-friendly engine design, and low fuel consumption. With its intelligent design, technical maturity, and high degree of reliability, the Jenbacher Type 3 can significantly reduce greenhouse gas emissions by efficiently turning waste gas into valuable electrical energy and capturing waste heat and diverting it to process streams. Its LEANOX® burn control system ensures the correct air/gas ratio under all operating conditions to minimize exhaust gas emissions while maintaining stable engine operation. Engineered for seamless integration into your facility infrastructure and supporting a variety of fuel types and thermal applications for hot water to 150 PSIG steam, the Jenbacher Type 3 can be a valuable asset towards achieving your clean power generation goals. Installation and technical data are available in the below pdf. Contact us today for assistance.